Submitted 2 weeks 22 hours ago by Carlo Antonini. we know the life of a scientist can be complex, sometimes even complicated. Our career is full of risks, but may also lead to unexpceted opportunities. One of these is the possibility to bring our contribution to innovation, that will shape our future. 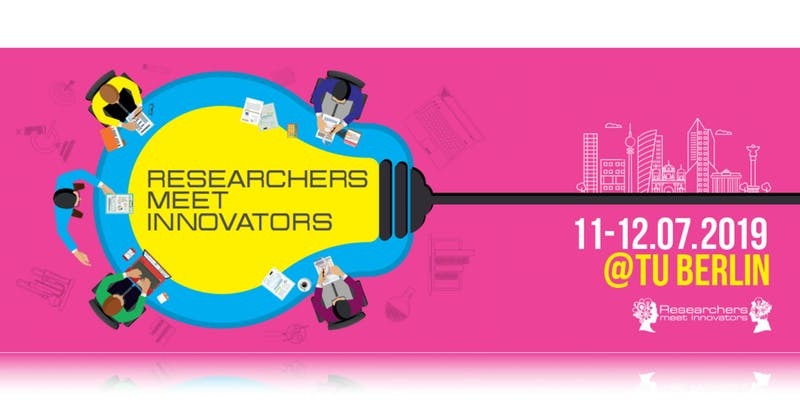 As such, we at the BSB (Bridging Science and Business) working group, have organized for you the workshop "Researchers meet Innovators" at TU Berline, on July 11th and 12th. Take a minure to look at the program. If you do so, I am sure you are going to register and we are going to meet in Berlin :) We have 20 speakers and already around 50 registrations. on behalf of the Organizing Committee of "Researchers meets Innovators"